SpaceX launched off their Falcon 9 rocket in a historic resupply mission on Sunday, depositing a spacecraft into orbit before successfully returning to Earth. The unmanned rocket soared from one of NASA’s long-idled moon pads, sending off supplies from the exact spot where astronauts embarked on the lunar landings in 1969. 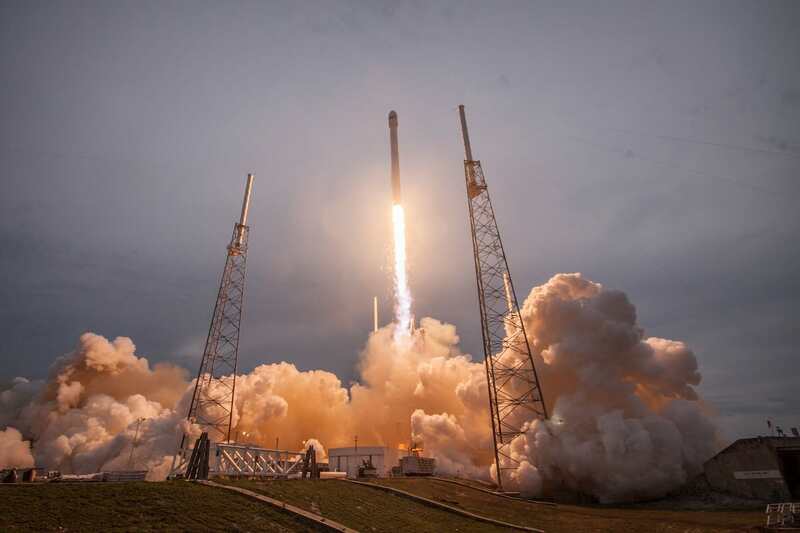 It was the first liftoff from the legendary launch pad since NASA ended their shuttle program nearly six years ago, and SpaceX’s first flight from Florida since a rocket explosion last September. The two stage rocket launched the Dragon spacecraft, which is now en route to the International Space Station and is projected to arrive on Wednesday. The successful landing of the rocket booster came just nine minutes after takeoff and marks SpaceX’s strategy of reusing hardware rather than discarding of it. “That 1 per cent chance isn’t worth rolling the dice. Better to wait a day,” he added. Musk is one of several attempting to pioneer a new space age, and looking at Falcon 9’s successful mission, he’s achieving it. SpaceX’s Falcon 9 and Dragon ‘were designed from the outset to deliver humans into space and under an agreement with NASA, SpaceX is actively working toward that goal,’ his company stated. The future is here, and it looks pretty damn cool.